Dr Rima Laibow MD tells how massive public PUSH BACK has held of the forced industrialization of food bill, S.510 in the US Senate, since last November. Now the PUSH BACK must continue or we risk the bill being rushed through in September as a “noncontroversial” unanimous consent bill. Action Item at www.healthfreedomusa.org to educate decision makers. And after you have watched Dr. Rima E. Laibow and read the article below you will know exactly why the Gates Foundation Bought 500,000 Monsanto Shares. S 510, the Food Safety Modernization Act, may be the most dangerous bill in the history of the US. It is to our food what the bailout was to our economy, only we can live without money. It is similar to what India faced with imposition of the salt tax during British rule, only S 510 extends control over all food in the US, violating the fundamental human right to food. Monsanto says it has no interest in the bill and would not benefit from it, but Monsanto’s Michael Taylor who gave us rBGH and unregulated genetically modified (GM) organisms, appears to have designed it and is waiting as an appointed Food Czar to the FDA (a position unapproved by Congress) to administer the agency it would create – without judicial review – if it passes. S 510 would give Monsanto unlimited power over all US seed, food supplements, food and farming. In the 1990s, Bill Clinton introduced HACCP (Hazardous Analysis Critical Control Points) purportedly to deal with contamination in the meat industry. Clinton’s HACCP delighted the offending corporate (World Trade Organization “WTO”) meat packers since it allowed them to inspect themselves, eliminated thousands of local food processors (with no history of contamination), and centralized meat into their control. Monsanto promoted HACCP. In 2008, Hillary Clinton, urged a powerful centralized food safety agency as part of her campaign for president. Her advisor was Mark Penn, CEO of Burson Marsteller*, a giant PR firm representing Monsanto. Clinton lost, but Clinton friends such as Rosa DeLauro, whose husband’s firm lists Monsanto as a progressive client and globalization as an area of expertise, introduced early versions of S 510. S 510 fails on moral, social, economic, political, constitutional, and human survival grounds. 1. It puts all US food and all US farms under Homeland Security and the Department of Defense, in the event of contamination or an ill-defined emergency. It resembles the Kissinger Plan. Nothing in this Act (or an amendment made by this Act) shall be construed in a manner inconsistent with the agreement establishing the World Trade Organization or any other treaty or international agreement to which the United States is a party. 3. It would allow the government, under Maritime Law, to define the introduction of any food into commerce (even direct sales between individuals) as smuggling into “the United States.” Since under that law, the US is a corporate entity and not a location, “entry of food into the US” covers food produced anywhere within the land mass of this country and “entering into” it by virtue of being produced. 4. It imposes Codex Alimentarius on the US, a global system of control over food. It allows the United Nations (UN), World Health Organization (WHO), UN Food and Agriculture Organization (FAO), and the WTO to take control of every food on earth and remove access to natural food supplements. Its bizarre history and its expected impact in limiting access to adequate nutrition (while mandating GM food, GM animals, pesticides, hormones, irradiation of food, etc.) threatens all safe and organic food and health itself, since the world knows now it needs vitamins to survive, not just to treat illnesses. 5. It would remove the right to clean, store and thus own seed in the US, putting control of seeds in the hands of Monsanto and other multinationals, threatening US security. See Seeds – How to criminalize them, for more details. 6. It includes NAIS, an animal traceability program that threatens all small farmers and ranchers raising animals. The UN is participating through the WHO, FAO, WTO, and World Organisation for Animal Health (OIE) in allowing mass slaughter of even heritage breeds of animals and without proof of disease. Biodiversity in farm animals is being wiped out to substitute genetically engineered animals on which corporations hold patents. Animal diseases can be falsely declared. S 510 includes the Centers for Disease Control (CDC), despite its corrupt involvement in the H1N1 scandal, which is now said to have been concocted by the corporations. 7. It extends a failed and destructive HACCP to all food, thus threatening to do to all local food production and farming what HACCP did to meat production – put it in corporate hands and worsen food safety. 8. It deconstructs what is left of the American economy. It takes agriculture and food, which are the cornerstone of all economies, out of the hands of the citizenry, and puts them under the total control of multinational corporations influencing the UN, WHO, FAO and WTO, with HHS, and CDC, acting as agents, with Homeland Security as the enforcer. The chance to rebuild the economy based on farming, ranching, gardens, food production, natural health, and all the jobs, tools and connected occupations would be eliminated. 9. It would allow the government to mandate antibiotics, hormones, slaughterhouse waste, pesticides and GMOs. This would industrialize every farm in the US, eliminate local organic farming, greatly increase global warming from increased use of oil-based products and long-distance delivery of foods, and make food even more unsafe. The five items listed – the Five Pillars of Food Safety – are precisely the items in the food supply which are the primary source of its danger. 10. It uses food crimes as the entry into police state power and control. The bill postpones defining all the regulations to be imposed; postpones defining crimes to be punished, postpones defining penalties to be applied. 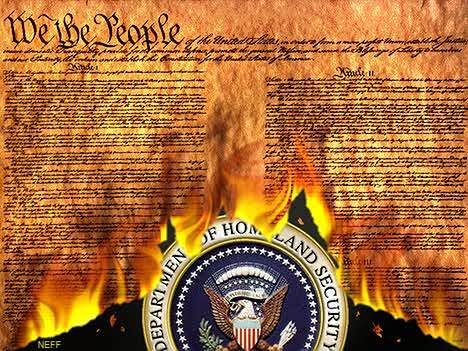 It removes fundamental constitutional protections from all citizens in the country, making them subject to a corporate tribunal with unlimited power and penalties, and without judicial review. It is (similar to C-6 in Canada) the end of Rule of Law in the US. Ed. Note: Also see this piece by lawyers: Food Safety: The Worst of Both Bills (HR 2749 and S 510). GM food alters your DNA, changes your brain waves, destroys your immune system, your organs and makes you infertile. – Monsanto to Charge as Much as 42 % More for New Seeds! – At stake is no less than control of the world’s food supply. Gates Foundation Buys 500,000 Monsanto Shares … And Here Is Why! Not that i am a fan of Monstanso , but how come you are always taking them down and do not even talk about their competitors that are not better and even worse . it start to seems like this board might get funds from another gmo firm …. All GM food is lethal stuff. Funds from Pioneer, Syngenta, Dow Chemical or DuPont etc.? Just added a few links to this article. After going over these links I guess one thing is sure, that no GM food company will give me a cent for what I am doing. Yes, I agree that there are a lot of posts on Monsanto (and they are all necessary). If you can provide more links on DuPont and the other criminals, please do so. And PS: I receive no funds from anybody. If you believe this, I got a bridge in Brooklyn I can sell ya. This bill has nothing to do with GMOs, except of course the fact that mandating GMOs would be illegal under this bill. Rima is sooo far off. WHEN POWER IS CORRUPT IT WILL EVENTUALLY DESTRUCT ITSELF ALTHOUGH IT HARMS MANY ON ITS WAY UP AND DOWN, THIS POWER OVER OTHERS INTERFEARS IN OTHERS LIVES AND FREEDOMS IT IS A VIOLENCE AGAINST HUMANITY . IT CANT HAPPEN UNLESS WE ALLOW IT. JUST CANT GET THE MANY TO WAKE UP. SO THEY WILL GET WAKED UP WHEN ITS TOO LATE. REAL POWER IS THAT WHICH IS WITHIN COMING FORWARD FOR THE GREATOR GOOD OF ALL IN ACTION. NOT EMPTY WORDS. THE POWER THE MASSES BOW TO IS NOT POWER AT ALL IT IS SCARED BULLIES ABUSING POWER WITH UNFAIR TACTICS TO BEND OTHERS TO THEIR WILL AND GAIN. ITS NOT A POWER THAT LASTS BECAUSE IT WILL DESTRUCT. WE NEED TO MOVE OUT OF THE POWER OF FEAR AND MOVE INTO THE POWER OF LOVE AND CONCERN FOR ONE ANOTHER. THE MASSES ALLOW TO BE RULED BY FEAR AND WILL BE RECYCLED BACK HERE TILL THEY LEARN NOT TO GIVE THEIR TRUST TO THAT WHICH ABUSES LIFEFORMS OF ANY KIND.